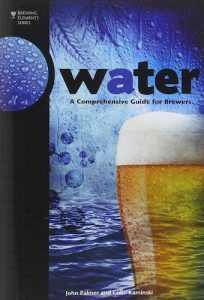 If you are looking to wade through the waters and want an in-depth technical understanding of how and why water is used and affects your beer, Water: A Comprehensive Guide for Brewers is the best resource. This book covers in-depth mash chemistry by explaining its water chemistry, minerals and alkalinity, and calculations. It helps you understand the importance of a water report and provides you with the knowledge to understand your report and how it will affect your recipes and homebrew. The book covers some basic math and chemistry to help you understand the topics covers, and provides helpful examples and illustrations.